Defualt SEO settings are pre-populated with merge codes. These apply to the site across page types. This allows you to do a quick setup by using global settings. SEO settings - These override page and global settings to give complete control at the product and page level. This page has the default SEO settings which can be changed as you choose. You can change any settings here or delete them to leave them blank. 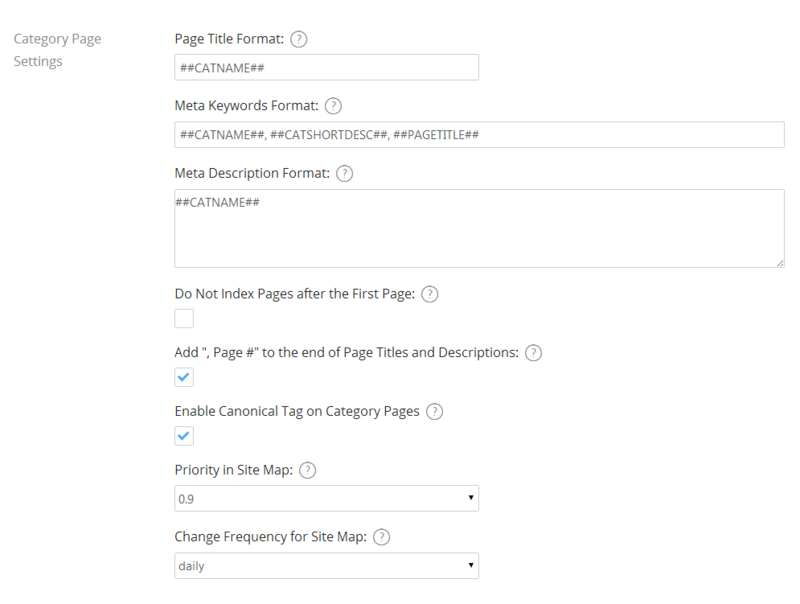 These settings generate keywords and descriptions for the entire site if the settings are not defined at the product or page level. All this information can be overriden at the product, category, manufacturer or content page level. This is a default setting to fall back on when the page or product level tags are not defined. These settings for a large number of products/pages you can use the import tools. These give you complete control over your on page optimization and overrides all global settings. This allows you to have unique SEO tags and settings for each product and page if needed.